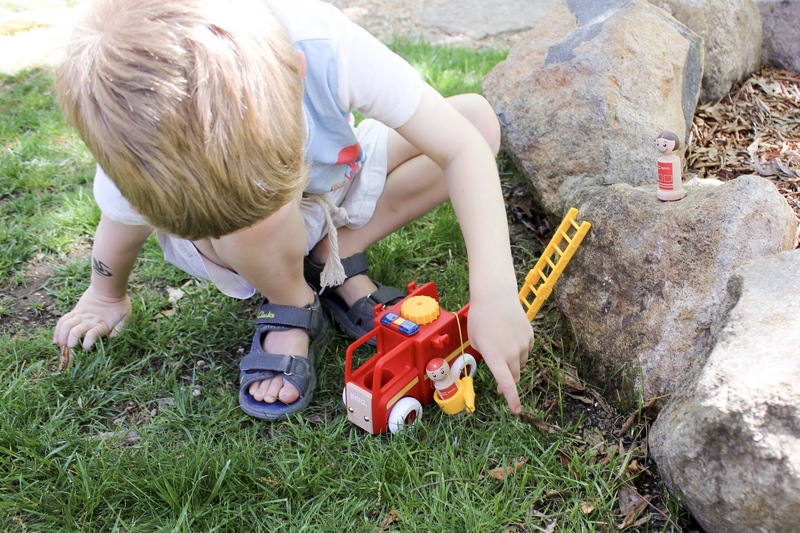 With thanks to Childsmart for providing me with a Brio Light and Sound fire truck to review. I have not been paid for this post and these are my own, honest opinions. I have a ‘nee naw’ mad three year old. He is absolutely obsessed firefighters and fire trucks. So it was a no-brainer when the team from Childsmart asked me to review a product from Brio’s new light and sound range. Especially as the range includes a fire truck. How could I resist? The littlest lad would never have forgiven me! The Brio Light and Sound range is a trio of a fire truck, police car and ambulance. Each vehicle features flashing lights and wailing sirens. These rescue vehicles are perfect for kids who like speeding off on rescue missions. With the bright emergency lights and loud sirens they are ready to save the day! 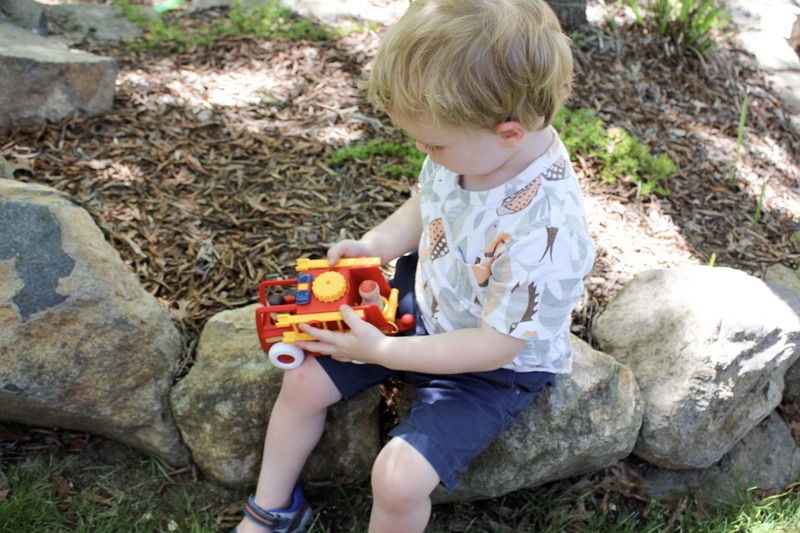 The Brio Light and Sound fire truck is easy to love! First, little hands can join together the two ladders to make one long ladder. The boys tell me the big ladder comes in handy when there’s a fire up high! It has flashing lights and sirens which is very important for dashing off to fires. Finally, the hose of the fire truck can be pulled in and out, essential for rescue missions. 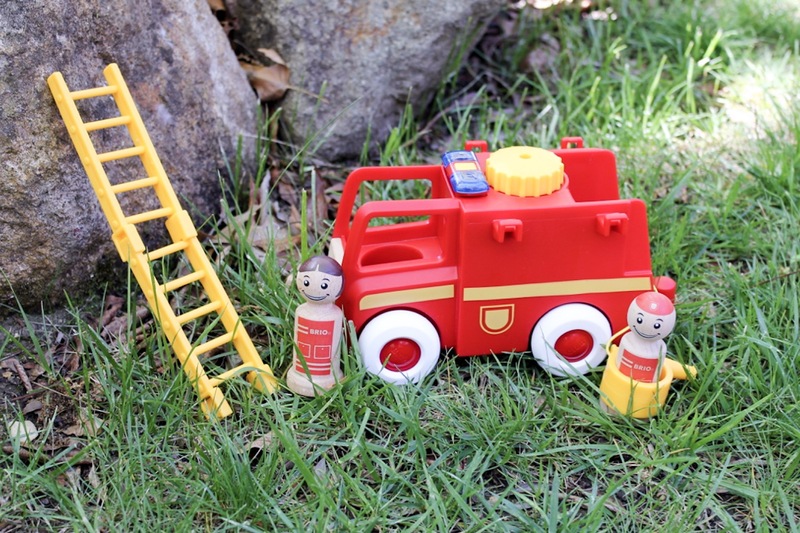 The Light and Sound fire truck is wonderful for promoting imaginative play. Our truck has been on rescue missions to put out fires and saved the odd cat from a tree. The fire truck also gives the boys a sense of courage during their playtime. Finally, superheroes are an obsession of my boys. I love that this range subtly shows them that not all heroes wear capes. Firefighters are our everyday heroes, and super powers aren’t essential. Do you know kids who love rescue vehicles? 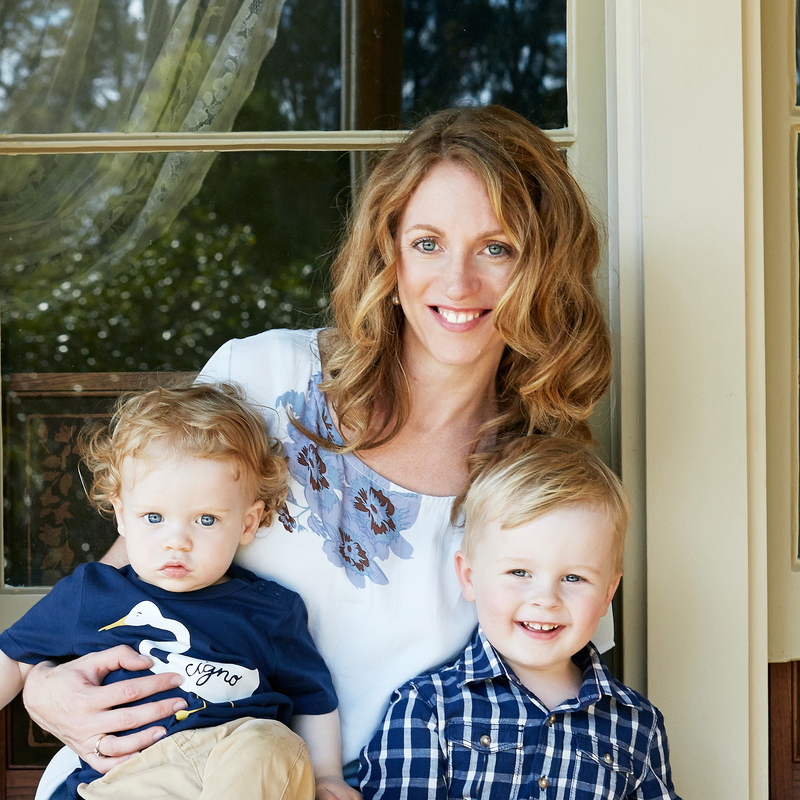 ← A third birthday interview with the little lad! What a gorgeous Brio toy. We love Brio and also featured them this week. Gosh I miss my tiny little boys now! I never thought I would miss buying cars for Christmas! I had THE BEST fire truck as a kid haha. The ladder extended SO FAR. I never thought I would say this, but I miss the kids playing with toys. Now they are nearly adults its all phones and playstations! There’s a lot to love about fire engines! I have to ask though, is the siren very noisy? I usually have a policy of not buying noisy toys for our godchildren but only because I want to stay friends with their parents! The siren is actually rather quite. I almost mentioned that the noise wasn’t too intrusive in my post, but thought that might be cheeky! I am buying one for my nephew right now! Wonderful Kylie, I hope he loves it! He really does love nee naws!